‘Tis the season to be….wait a minute, wrong holiday. It’s the season for candy, cooler nights, costumes and scary movies. This is no doubt my favorite time of year and favorite holiday. This is a binge-watching season when you should watch as many scary movies as you can in one month. It’s a season to “melt your brain” as I like to say. 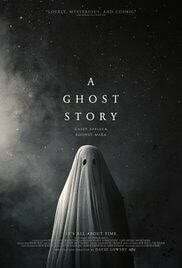 This might be an obvious choice for this year’s list, however, I don’t think people realize just how good this new movie is – and how scary. IT became the first horror movie to gross $300 million dollars and continues to draw people to the theaters. A sequel is already in the works. IT was originally a made-for-TV miniseries in 1990 and tells the story of an evil force in the shape of a clown named Pennywise that returns every 25 years to kill, torment and feed off of children. The new movie is a great adaptation of the Stephen King Novel by the same name and in my eyes might be better. Don’t get me wrong, IT is brutal and terrifying but does have some lighthearted moments and some funny dialogue. The movie feels like “Stand by Me” meets “Halloween” and in all of the best ways. This is not a movie for the weak of heart, or for someone that has bad dreams. This is a true slasher movie and director Rob Zombie is not shy when it comes to making you feel sick or a little disturbed. 31 takes place on, well you guessed it, Halloween. The story follows a group of circus performers on their way to the next town where they’re attacked by a group and dragged into a warehouse. Things go from bad to dreadful quickly when the group has 12 hours to escape the warehouse, or instead, survive the warehouse while multiple psychopaths hunt them down. You never really find out who is behind this so-called game or why but you almost don’t really need to know. The brutal death scenes and disturbing dialogue is enough. The killers have weird names that might make them seem funny but once you see how twisted they are, you forget about anything that might seem humorous. The story grabs you from the start as you’re introduced to a father and son who run a funeral home. Everything seems normal (or as normal as it can be when you have dead bodies in your basement). However one autopsy doesn’t go so well…a young woman is brought to them with scars all over her body. Things slowly start to go from creepy to worse because as the autopsy unveils more clues to her death, it also leads them to a dark story that they might just wish they left alone. Halloween wouldn’t be complete without zombies. This is a foreign film so you can either deal with subtitles or watch a really bad English-dubbed version. I suggest the subtitles because the move is good on its own and truly doesn’t need much of a story. The start of the movie begins like most zombie virus outbreak movies and focuses on a son and daughter trying to catch a train as the world they know falls apart around them. Unfortunately, that train is not safe from the zombie virus and the passengers are now flesh-eating monsters. The action sequences along with a slight twist on the typical zombie characteristics, make this a nice new addition to the genre and Halloween. This is another cult classic. I consider it to be a hidden gem in the Halloween/scary movie world. Trick ‘r’ Treat takes five stories that not only tie together but also occur on Halloween. An everyday high school principal has a secret life as a serial killer, a college girl might have just met the guy for her, a group of teenagers pull a mean prank, a woman who loathes the night has to contend with her holiday-obsessed husband, and a mean old man meets his match with a demonic supernatural trick-or-treater. These five stories are all part of a bigger story that makes this movie unique. Clearly this movie was inspired by its predecessors (Tales From Crypt, The Twilight Zone and Tales from the Darkside) however the director and writer do it in a modern way, and better. This is a very strange movie that moves slowly at times but truly does have a creepy theme throughout. The story is centered around a struggling musician who lives in the Dallas/Ft. Worth area. To put it simply a massive car accident happens late one night and a sheet covered spirit appears. I have to be very vague on the details because I don’t want to give away the movie. This movie caught me off guard because I heard about it, however, nobody I spoke with had seen it or even knew it was out. This is a must-watch if not simply for the ghost and the story of why it’s there. So there you have it, your 2017 list of movies that will get you in the Halloween mood – and keep you up at night. I can tell you right now that I could list about ten more, but then what would I do for next year? So enjoy, good luck and don’t blame me for any nightmares.